Children jump over puddles on the pock-marked street outside the mosque in Duisi, a small village situated in Georgia’s scenic Pankisi Valley. 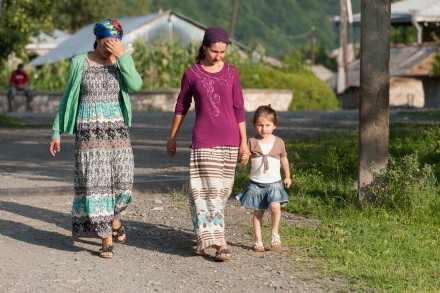 Inhabited by 8,000 ethnic Kists, a minority group related to the Chechens of the North Caucasus, Pankisi is also home to refugees from Chechnya who fled during the wars of the 1990s and 2000s. 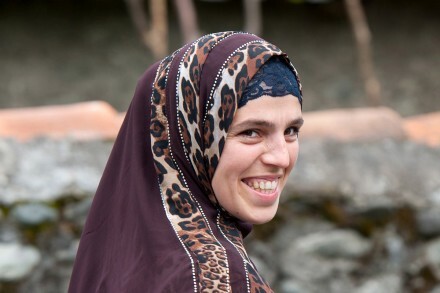 Women circumvent the obstacles created by years of neglect in patterned chadors while others have their heads uncovered or slightly obscured by Kist head scarves. Young men are also diverse — with some clean shaven and others sporting long but religiously-symbolic beards indicative of an increasing divide between traditional local culture and imported Salafist ideology. The situation has particularly become one of concern in recent years because of the recruitment of local youth by extremist groups — most notably the Islamic State. Pankisi’s most notorious emigre among those fighting in Syria is Tarkhan Batirishvili, aka Abu Omar al-Shishani, a senior military commander in the group also known as Daesh, ISIS, or ISIL. Estimates cited by the U.S. State Department’s Bureau of Counterterrorism put the number of Georgians fighting in Iraq and Syria at 50-100. 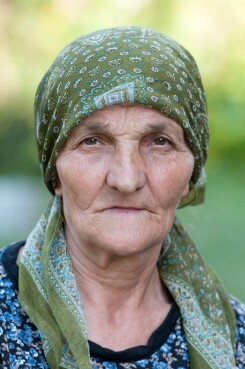 Thirteen residents from Pankisi are known to have died. Neighbouring Azerbaijan faces a problem with radicalisation as well, with most foreign fighters attracted to the Islamic State as is also the case in Georgia. “At least 272 Azerbaijanis have been involved in the conflict since 2012 and there are likely at least 100 more so I’d estimate between 400 and 500,” says a prominent Washington D.C-based analyst who writes on Azerbaijanis fighting in Syria for the well known Jihadology.net web site and is quoted by media such as The Economist and Radio Free Europe only under their blogging handle. And those reasons might be very similar to why some Muslims in Georgia are prone to radicalisation according to a new study by Wake Forest University researcher Bennett Clifford through the Georgian Foundation of Strategic and International Studies (GFSIS). “The economy’s role in this process is often overestimated or misplaced,” he says. “Economics are a necessary but insufficient factor to explain radicalisation,” he continues, adding that the problem is evident not only in Pankisi, but also in less isolated and economically vulnerable Adjara and ethnic Azeri villages in the Kakheti, Samtskhe-Javakheti, and Kvemo Kartli regions of Georgia. “If unchecked, tensions between Christians and Muslims, particularly in Adjara, can contribute to the perception among Georgian Muslims that it is impossible for them to maintain their institutions and way of life in a Christian-dominant society,” he says. Several fighters and jihadi brides from ethnic Azeri villages are believed to have left for Syria even though most Azerbaijanis are Shia. With Georgians also able to enter Turkey visa-free, both the Azerbaijani and Georgian authorities are tightening border control. The U.S. State Department, Organisation for Security and Cooperation in Europe (OSCE), the Russian Foreign Ministry, and the International Crisis Group (ICG) also consider both countries as transit routes for foreign fighters to Syria. This is also a main requirement of United Nations Security Council Resolution 2178 passed in September last year. What is also mentioned in the resolution, but still lacking in Georgia, is the need to engage communities, youth, women, and religious leaders in Countering Violent Extremism (CVE) efforts to prevent radicalisation from occurring in the first place. North Caucasus Caucus says that some initiatives already exist in Azerbaijan. The U.S. State Department’s Bureau of Counterterrorism reiterated this in its annual report. “Specifically, authorities sought to bring mosques under greater control by installing cameras inside, replacing Salafi clerics with moderate leaders, forbidding Salafis from taking leadership roles in mosques, banning books promoting extremist views, and increasing control over public television,” it read. Increasingly, CVE practitioners repeat such concerns in other countries, including in the West where there are growing calls for the empowerment of local communities as well as the victims of terrorism and disillusioned former radicals to tackle the problem themselves instead of government attempts to control and restrict religious practice while solely focusing on punitive measures. The same is true for Georgia. “A lack of opportunities for formal Islamic education, fragmented Muslim institutions, and a lack of local civil society measures have created strong inroads for more conservative iterations of Islam, including Salafi Islam, to create a substantial ideological presence,” concludes Clifford. 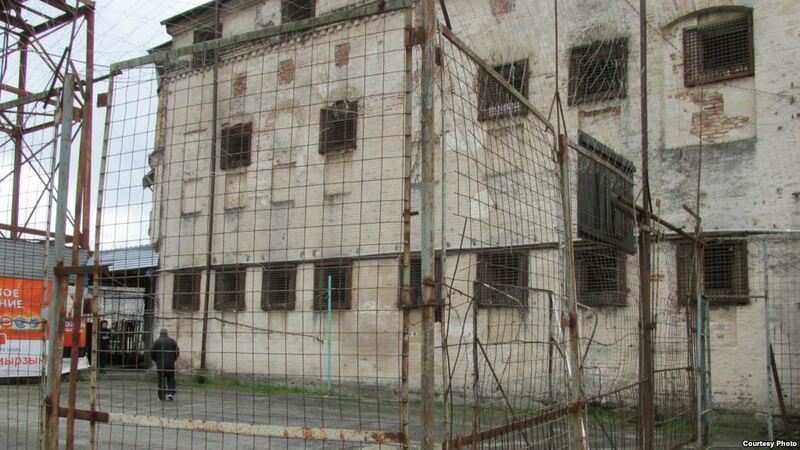 (This is the original English version of the article that BBC Azerbaijan published in Azeri (http://www.bbc.com/azeri/azerbaijan/2015/09/150914_caucasus_radicalastion). Onnik James Krikorian is a freelance journalist, photojournalist, fixer, media consultant, and trainer from the U.K. currently based in Georgia. He has been a speaker and participant in expert working group meetings, seminars, and conferences on Countering Violent Extremism (CVE) and Foreign Terrorist Fighters (FTF) organised by the Center for Strategic Counterterrorism Communications (CSCC), Global Counterterrorism Forum (GCTF), Hedayah Center, International Center for Counterterrorism — The Hague (ICCT), the OSCE office in Tajikistan, the OSCE Transnational Threats Department, OSCE Representative on Freedom of the Media, and the United Nations Office on Drugs and Crime (UNODC).